Pain in the knee area can be caused by a variety of injuries and conditions. The best knee pain relief cream reduces discomfort and inflammation and helps to aid the healing process, whether the pain is acute or chronic. Deeply penetrating and moisturising product. Coloured to aid with accurate application. Large tub is excellent value for money. Non-greasy product with no odor. Quickly absorbed into the skin. Features capsaicin as its active ingredient. Natural paraben-free product without unpleasant odor. Rapidly absorbed into the affected area. Relieves discomfort and speeds up the healing process. Can be used for numerous issues. Concentrated formula for longer lasting effect. Combination of active natural ingredients. Can be used for many different issues. What Is Knee Pain Relief Cream? Knee pain relief cream is a topical analgesic, meaning it’s a method of pain relief, which is applied locally to the source of stiffness, inflammation or discomfort. 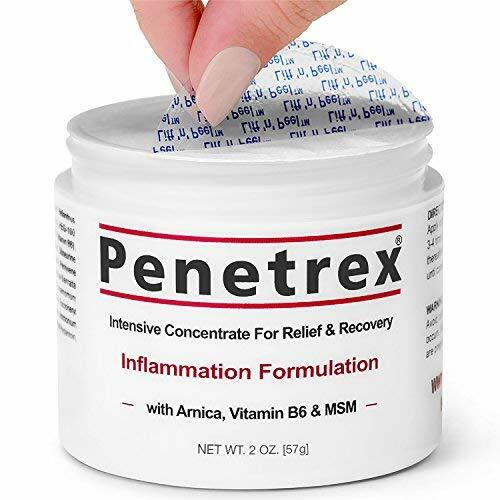 This product is effective in the treatment and management of numerous knee issues, such as gout, tendinitis, bursitis, osteo and rheumatoid arthritis, chondromalacia patella, and tears of the ligaments or meniscus of the knee. It’s also beneficial for use after surgery to help reduce discomfort and inflammation. Knee pain relief cream often contains a natural anti-inflammatory such as arnica or capsaicin as its active ingredient. There are some products available which contain a non-steroidal anti-inflammatory drug like ibuprofen, aspirin or diclofenac. Most non-prescription knee pain relief creams usually include natural active ingredients, although some products containing a lower dose of non-steroidal, anti-inflammatory drugs are available. Who Needs Knee Pain Relief Cream? Knee pain relief cream can generally be used by people of all ages as these products don’t usually contain prescription-strength drugs. Knee pain relief cream can be used for numerous conditions and issues. It’s beneficial for aiding in the treatment and recovery of injuries such as ACL and MCL tears, as well as conditions like tendinitis, bursitis and arthritis. The use of topical knee pain relief creams is a preferable alternative to taking medications orally, as the chance of side effects is much lower. As always, it’s important to discuss your condition with a medical professional and get adequate advice for your needs before embarking on a new treatment, especially for elderly patients, children, and those who are pregnant. The anti-inflammatory benefits of knee pain relief creams can be used to treat and manage problems in other parts of the body, such as the back, neck, shoulder, wrist, hip and foot, and conditions such as headaches, repetitive strain injuries, restless leg syndrome, plantar fasciitis and general bruising, sprains and strains. How Do I Choose the Best Knee Pain Relief Cream? When choosing the best knee pain relief cream you must first decide on the correct level of pain relief that you need for your issue, and consulting with a medical professional is really good for advice on which treatment is best for your requirements and situation. There are products available containing anti-steroidal inflammatory drugs which are often more potent than those which only contain natural anti-inflammatories as active ingredients. Bearing this in mind, products that are made up of only natural ingredients have a much smaller likelihood of contraindications with other drugs, and these products also tend to be gentler on the skin with a lower risk of irritation or other negative reactions. The other features to consider when choosing the best knee pain relief cream are the consistency and feel of the ointment, if it has any colour or smell, and how likely it is to irritate your skin especially if your skin is sensitive. What Is the Best Way to Use Knee Pain Relief Cream? The best way to use knee pain relief cream is to apply it topically to the affected area and massage it into the skin until it’s been absorbed. Knee pain relief cream can be applied up to four times per day to help relieve all levels of pain. Washing your hands after applying this product is very important, as if it touches the eyes, nose or mouth it can irritate the mucous membranes. Applying knee pain relief cream before exercising is one of the most beneficial ways to use this product; it’ll relieve pain which allows you to optimise your workout. It’s also effective to apply the product before going to bed, as it’ll provide relief overnight and help you to sleep better. It’s important to know that any product containing non-steroidal anti-inflammatory drugs shouldn’t be used at the same time as an oral remedy with the same active ingredient, because this can cause you complications like stomach ulcers and internal bleeding. What Are the Features and Benefits of Knee Pain Relief Cream? There are many benefits to using knee pain relief cream. As it’s a topical anti-inflammatory, it’s perfect for those who have problems with taking pills or don’t wish to take an extra one each day. It’s also a preferable form of treatment for those with gastrointestinal problems as the anti-inflammatory is absorbed externally through the skin, not internally through the stomach. The risk of suffering any side effects is minimal with knee pain relief cream, and any itching or irritation you might feel following the use of a topical anti-inflammatory is often due to other ingredients in the product, rather than the active ingredient itself. Some knee pain relief creams provide warming or cooling sensations to the affected area; these can help to relieve pain and discomfort. Other products are dyed a certain colour, so that it’s easier for you to apply the ointment accurately. Some knee pain relief creams act very quickly and almost instant relief can be felt, while others take numerous applications over a longer time period for longer lasting results. What Is the Best Knee Pain Relief Cream? With such a wide variety of products and ointments available for knee pain relief, it can be a very complicated task to choose the best cream for your condition. We’ve made things easier for you and found five of the best knee pain relief creams currently available, and evaluated each one on features, quality and value for money. This knee pain relief cream is a powerful, soothing formula which penetrates deeply and directly to the source of pain. It can be used on other areas including the back, neck, shoulders, hips, feet and hands, and is non-greasy, non-irritating, moisturising and odor free, with no known side effects. It’s a blue colour, which makes accurate application easier. The active ingredients of this topical ointment include glucosamine, MSM, emu oil and Aloe vera. The emu oil used in this product is a powerful transdermal carrier which effectively penetrates the skin, and this natural oil contains essential fatty acids including oleic acid which enhances the delivery of active ingredients. The emu oil used in this product is certified by the American Emu Association. Effective for fibromyalgia and arthritis in the knee area. Didn’t work for some users. This knee pain relief cream is a topical ointment containing powerful anti-inflammatory ingredients and antioxidants. It can be used on many parts of the body, including the knee, wrist, elbow and lower back, and is effective for all kinds of joint, muscle and arthritis pain. This product’s transdermal delivery system means the cream is directly absorbed deep into the skin at the site of discomfort for rapid, long-lasting relief without itching or burning of the skin. The active ingredient is capsaicin, a powerful natural anti-inflammatory which comes from chillies. Capsaicin is effective in blocking pain messages to the nerves, providing relief from discomfort and inflammation. This knee pain relief cream doesn’t contain any harmful toxins, doesn’t have an unpleasant odor, and there’s a low risk of any side effects. Effective on many areas of the body. Product not effective for some users. This knee pain relief cream contains a high concentration of arnica, which is proven to be an effective and rapid anti-inflammatory. This uniquely formulated gel doesn’t mask pain like other forms of pain relief, instead it’s rapidly absorbed into the affected area so that the active ingredients can relieve discomfort and speed up the recovery process. This knee pain relief cream can be used for numerous other issues and conditions, including tendonitis, bursitis, nerve pain, carpal tunnel syndrome, sciatica, shin splints, arthritis, and pain in the shoulder, back, neck, hip and heel. This product can be used in combination with a brace, glove, compression sleeve or splint. It contains no parabens, fragrance or unnatural ingredients, and has a low risk of side effects. Wasn’t effective for some users. This knee pain relief cream aids in reducing discomfort from joint inflammation and arthritis, and increasing capillary circulation. It can be used on other areas of the body including the back and neck, and is effective in providing relief from arthritis, fibromyalgia, restless leg syndrome, and all kinds of joint or muscle pain. This product works rapidly to increase blood flow to the affected areas, which results in reduced pain and faster healing. The unique delivery system ensures that the active ingredients are absorbed deep into joints, muscles, tendons and ligaments, providing fast and long-lasting relief. This knee pain relief cream doesn’t cause false temperature sensations to be felt by the body; pain isn’t masked by cooling or warming of the affected area. 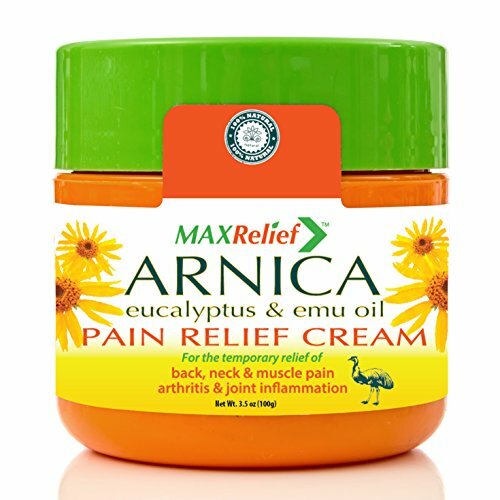 The natural active ingredients of this knee pain relief cream include arnica to reduce pain and inflammation, emu oil to aid healing and tissue rebuilding, rosemary oil to improve circulation and eucalyptus for rapid absorption. It also contains camphor, which gives the cream a nice aroma, unlike other products which contain unpleasant-smelling synthetic chemicals. The arnica content is up to three times the amount found in similar products. Helps improve bruising after trauma or surgery. Relief lasts up to eight hours. Effective for soft tissue damage. This knee pain relief cream is rapidly and easily absorbed into different areas for fast and long-lasting relief. It can also be used for issues in many other areas of the body, including the neck, back, hand, foot, calf, shoulder and hip. This knee pain relief cream is non-greasy, non-staining, free from drugs, steroids and parabens. It’s not tested on animals, features a vanishing scent, and has no side effects. This product can be used by itself, or with products such as splints, gloves or braces. It’s produced in the U.S, in an FDA-certified laboratory, and has over eight years of research and development behind it. Effects last up to eight hours. Most expensive product we evaluated. Found ineffective by some users. DMSO can cause negative reactions. After evaluating these five products, in our opinion the best knee pain relief cream is Blue Emu Original Analgesic Cream. The combination of active ingredients including emu oil, glucosamine, MSM and Aloe vera was found to be very effective for relieving knee pain. This product was the only one that’s coloured, for easy and accurate application, and it was also significantly better value for money than all of the other knee pain relief creams we evaluated. 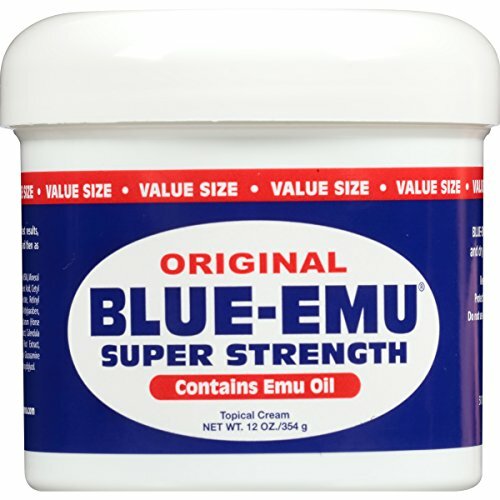 The Blue Emu cream is moisturising and has a vanishing aroma, unlike the Max Relief product. It also has a pleasant, non-greasy feel and is absorbed into the skin quickly for rapid relief. 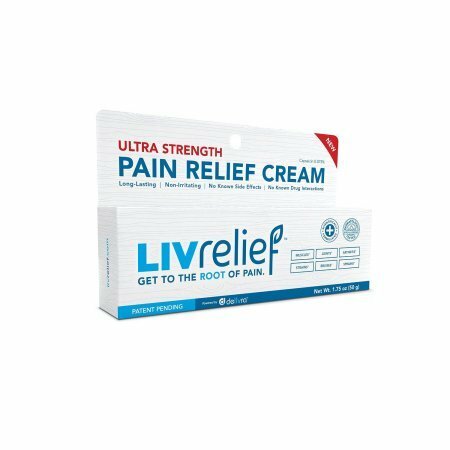 This cream is effective in relieving pain caused by a variety of conditions like fibromyalgia and arthritis, as well as issues in other areas of the body. The combination of effectiveness, features and value for money make Blue Emu Original Analgesic Cream our choice for the best knee pain relief cream currently available. What is the Best Muscle Rub in 2019?